A survey by the Urban Redevelopment Authority showed that 654 private homes were sold by developers in June. This is a drop of 41.7 per cent from the 1,122 units sold in May and also 20.2 per cent lower than in June last year. More than half of the sales took place Outside Central Region. The tally for the first half of the year is estimated at 4,090 private homes, about 32.3per cent below the 6,039 units which developers sold for the same period in 2017, said JLL. JLL added that the 726 new private homes launched in June is 31.5 per cent below the 1,060 released in May. Private homes launched in the first half of 2018 totalled an estimated 3,371 units, 14.9 per cent lower than the 3,960 units launched for the same period last year. 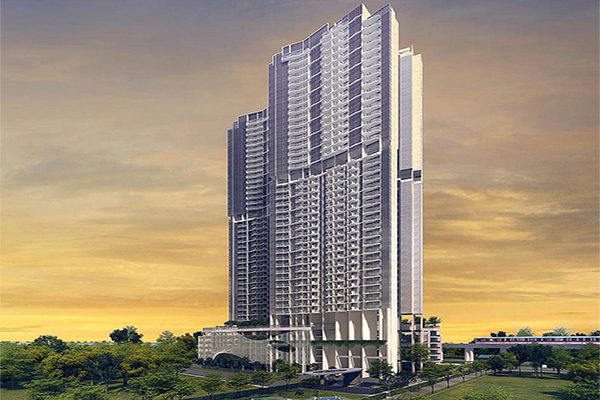 Affinity at Serangoon launched 300 of its 1,052 units for sale with 107 units taken up at a median price of $1,584 psf. The Garden Residences launched 156 of its 613 units and sold 64 at a median price of $1,662 psf. Margaret Ville launched 138 of its 309 units, disposing of 121 at a median price of $1,873 psf. One Draycott launched all of its 64 units for sale with one taken up at a median price of $2,599 psf. JLL said that in the absence of new EC launches, buyers faced limited choices from the few remaining units in EC projects under marketing. Rivercove Residences sold 29 units in June at a median price of $1,000 psf, clearing 627 of its 628 units. Parc Life sold 11 units at a median price of $884 psf while Northwave disposed of 9 units at a median price of $853 psf. Altogether, 52 new ECs were sold in June, a 62 per cent decline from the 137 units sold one month earlier. “Despite the buoyant residential market, primary market sale of private homes for the first half of 2018 is about 32 per cent lower y-o-y. This is in stark contrast to secondary market sales in the first half which shows a 37 per cent y-o-y increase (based on caveats) and more truly reflects the magnitude of demand in the market. It also shows lost opportunity in the primary market as 6,000 or more new private homes could have been taken up in 1H18 if launches had been more forthcoming. The recent upward revision in Additional Buyer’s Stamp Duty (ABSD) and tightening in Loan to Value (LTV) limits would impact investors most, i.e. those buying their second or subsequent property. First time buyers are more affected by the lower LTV as they can now borrow less and have to fork out a higher cash/CPF outlay for upfront payment. With the tighter measures in place, demand is expected to moderate but there will still be interest from buyers who are now more price sensitive but may still purchase if pricing is realistic. Lee Sze Teck, head of research at Huttons Asia, said fewer private homes sold in June could be attributed to buyers holding back so that they could compare projects in the same district before making a decision. The World Cup was another distraction for would be buyers. “Double digit sales continued to be registered at these three projects after 5 July, a testament to the adequate liquidity and fundamentally healthy demand in the market,” Mr Lee said.